As we blogged back in April, the estate of Randy Craig Wolfe’s copyright lawsuit against Led Zeppelin went to trial in California. The verdict is in: a jury found that Led Zeppelin’s “Stairway to Heaven” does not infringe the copyright of Spirit’s “Taurus.” But the litigation is not over yet and so the Led Zeppelin lawsuit continues. 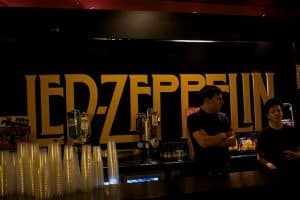 Attorneys for Wolfe’s estate filed a notice of appeal in the United States Court of Appeals for the Ninth Circuit, and attorneys for Led Zeppelin have indicated that they will be seeking attorneys’ fees under the Copyright Act. A notice of appeal is precisely that: a notice of intent to appeal the judgment, without a statement of the grounds for appeal. Reporting on the case indicates that it was quite a contentious and theatrical scene. Based on public comments by the plaintiff’s attorney, the appeal will likely center on various pre-trial and evidentiary rulings. With no direct evidence of copying, the plaintiff had to rely on the indirect evidence of access to the copyrighted work and substantial similarity between the songs. The jury did not hear the sound recordings with which we are all familiar. Instead, they heard live and acoustic performances of the written sheet music deposited with the “Taurus” copyright at the Copyright Office. After hearing those performances, the jury found that while Led Zeppelin had access to the work, “Taurus” and “Stairway to Heaven” are not substantially similar under copyright law. The Copyright Act provides that a court can award attorneys’ fees to prevailing litigants in copyright cases. As we have discussed at length, the decision to award fees is left to the court’s discretion and different courts tend to apply slightly different standards to determine fee awards. The United States Supreme Court’s recent decision in Kirtsaeng v. John Wiley & Sons helped clarify the standard somewhat by indicating that courts should give substantial weight to the objective reasonableness of the losing party’s litigation position. However, it was also determined that that factor alone is not controlling. Prior to Kirtsaeng, the Ninth Circuit generally would award fees in instances where the prevailing party’s claims or defenses furthered the purposes of copyright law. It’s hard to say whether Kirtsaeng will substantially change the approach of the courts in the Ninth Circuit. The fact that the district court did not grant summary judgment but allowed the case to go to trial indicates that the court is not likely to view the plaintiff’s arguments as objectively unreasonable. It also remains unclear as to whether or not the district court will view Led Zeppelin’s defenses as advancing the purpose of copyright law in a meaningful way. A decision on fees may come down to arguments about the conduct of the litigation itself or the court’s desire to deter the kinds of claims brought forth by the plaintiff in this particular case. We’ll be closely monitoring this case as it continues its journey through the courts and keep you abreast of any significant developments. Previous PostMusic & Politics Don’t Mix – Or Do They? Are High Octane Legal Fees Bad for Business?